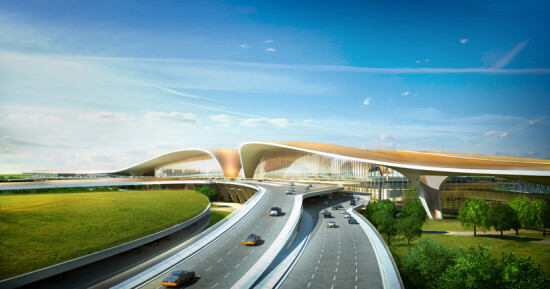 Last week Governor Andrew Cuomo announced that a Mott MacDonald and Grimshaw Architects-led team was chosen by the Port Authority of New York and New Jersey for the redevelopment of John F. Kennedy (JFK) Airport. Grimshaw and Mott MacDonald are leading a team that includes eight additional firms (among them, TranSolutions, Harris Miller Miller & Hanson, VJ Associates, and ACB Architects). 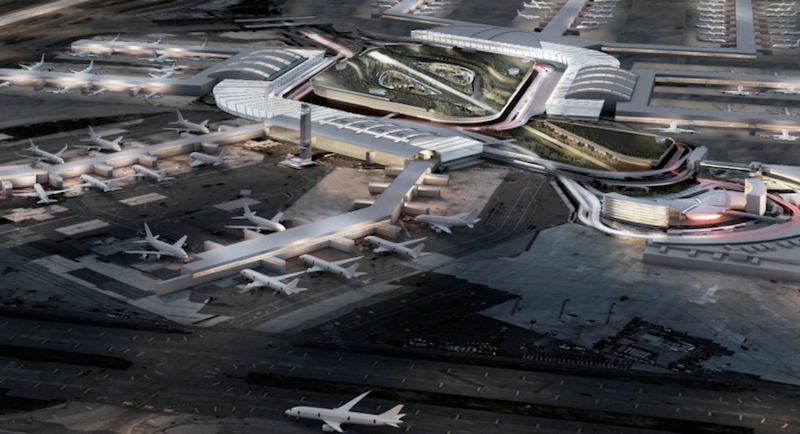 All together, the team has redesigned or provided master plans for ten airports. Among the goals outlined in the vision plan are integrating the airport's terminals, revamping the car routes to the airport to streamline traffic, developing a railway directly to the airport, and generally modernizing the airport with improved retail and business space. While addressing all these concerns in their designs, Mott MacDonald and Grimshaw will also be expected to project forward and imagine the airport's future use and capacity needs through mid-century. The vision for the transportation hub aims to generate $10 billion from investors to revamp the airport in order to better accommodate the nearly 58.8 million people who pass through it yearly—a number that is ever-growing. Currently, the airport is a major economic driver in the New York–New Jersey metropolitan region, supplying $15.8 billion in wages and $43.6 billion in sales, according to the Governor's statement. There is no clear timeline for the project as of yet, but whether the final design incorporates faceted golden soffit or a vaguely arachnid master plan, it's sure to be splashy—just how Governor Cuomo likes it.